Looks great Janice. 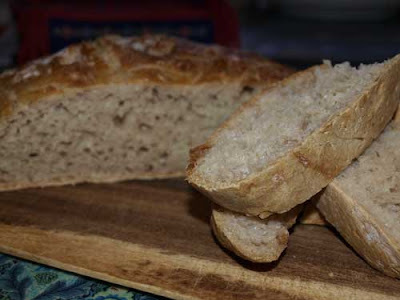 Such an easy bread to make but it tasted soooo good too. Glad you had the chance to take part this month. Looks lovely - the bread colours beautifully in the Le Creuset. Looks so fresh and delicious! Sounds so easy I must try. Thanks for sharing. Ah - fresh bread with minimal effort, can't beat it, can you?! Janice, this looks really good. Intrigues by the steaming method. I wonder how it would turn out if you just baked it in an open oven. Thanks for adding me on UKFBA. 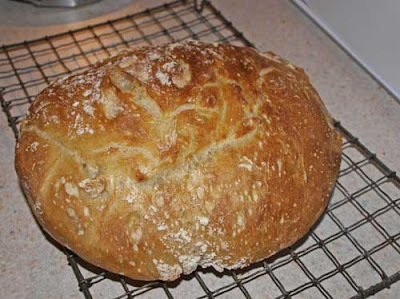 This is a great recipe, I love making bread its so satisfying :). That being said I've only made it a couple of times :D. When fresh bread comes out of the oven i think it smells more delicious than any perfume in the world! It did turn out beautifully--I am so happy with the results. 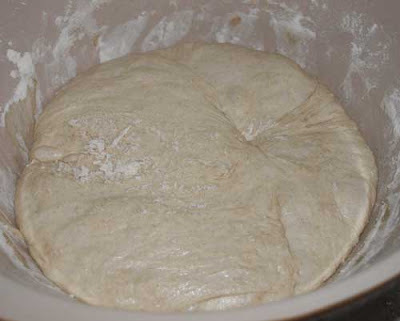 I've made with part whole wheat flour once and part rye flour once; both were great successes. I make this at least twice a week now and it truly is the most wonderful bread! I told you it was easy, didn't I? Good on you! Lovely!! Golden,delish! Making my own bread is one of those things that seem sooo complicated - thanks for sharing this one, 'no knead' sounds great!! 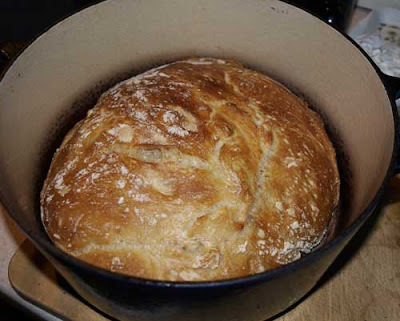 I am so going to try baking bread in my pot! Very cool!